* Please use extreme caution along this trail. Beginning the steep ascent from the Pali Lookout, the Pali Puka trail climbs along the narrow ridgeline of the Ko’olau Mountains. 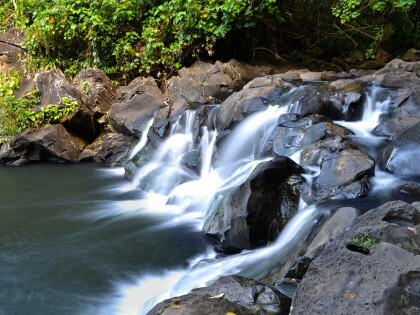 High winds and sheer vertical drops make this short hike an exciting trip. 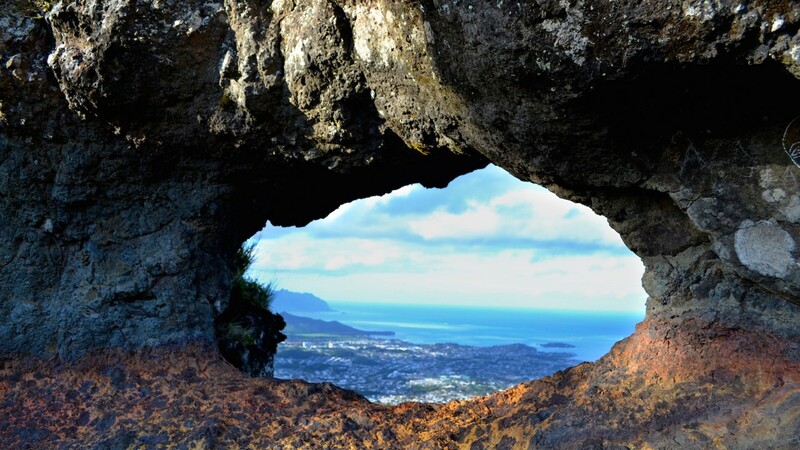 The panoramic vistas provided by this exposed trail are incredible, offering breathtaking views of O’ahu’s windward coast, from Kailua and Kane’ohe all the way to Kualoa. 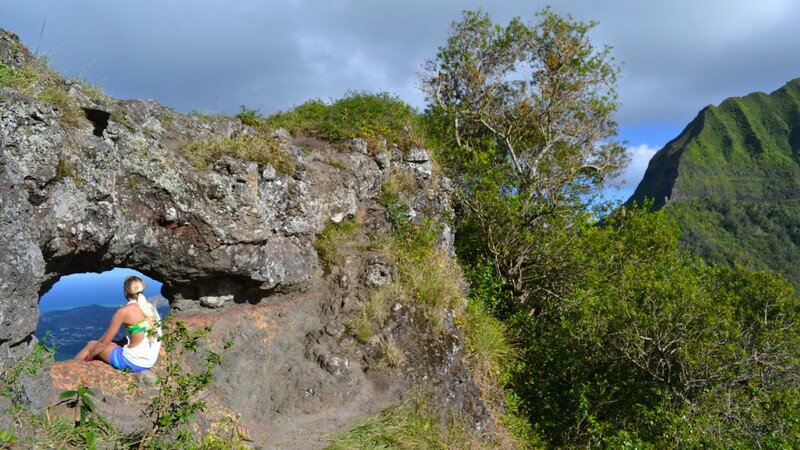 At the trail’s peak is the Pali Puka, a small “window” in the rock face of the mountain, said to be a hiding spot for Hawaiian warriors as they watched for approaching enemies. 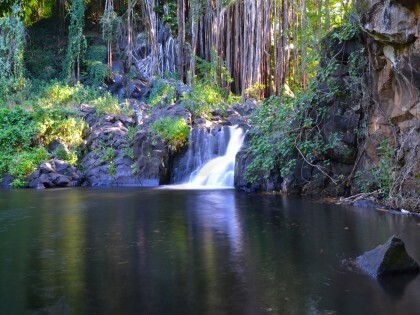 This hike is one of Trails of Freedom’s favorite on the island, with the history of the Pali adding to the overall experience. 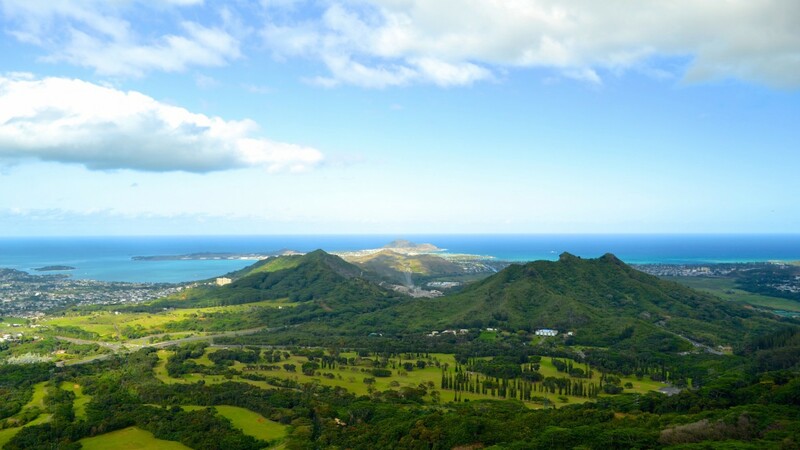 Parking at the Pali Lookout is free for HI residents (with an ID), but is $3 per car for non-residents. 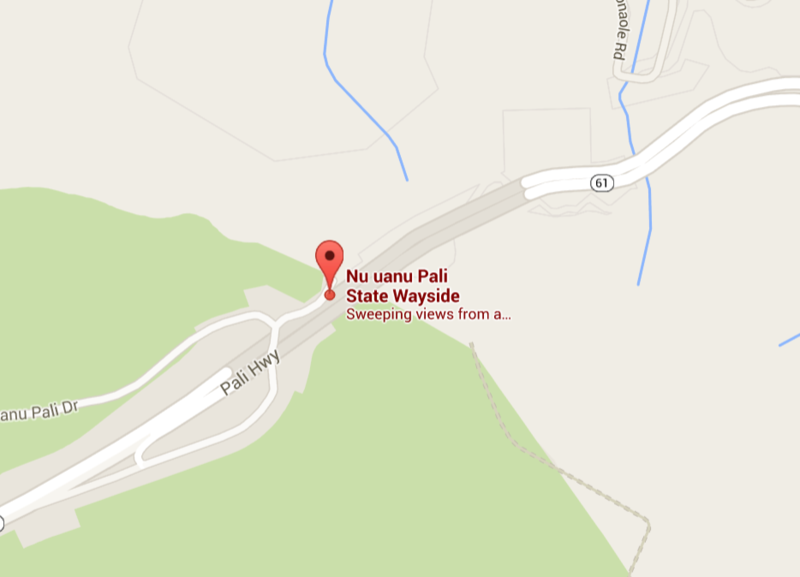 By car: Follow the map below to the Pali Lookout off of the Pali Highway (Highway 61). Park in the lot, then proceed to the far side of the parking area where the buses are. If looking at the lookout, this area will be on the left. Look for a small notch in the rock wall – this is the start of the trail. For more information, please watch the video below. My name is Aly and I would like to know if you would have any interest to have your website here at trailsoffreedom.com promoted as a resource on our blog alychidesign.com ?